Tidal Flow Paddle Top in Paradise Camo multi. The price seems rather steep at $98. Tidal Flow Rashguard. This is also $98. I have Athleta's sleeveless Pacifica rashguard, which unzips in the front and is only $44. I just got a long sleeve one from Athleta for $54. Stride to Tide Tank in Boom Juice. I ordered this tank in black. I have the Water Bound singlet from a couple of years ago and really like it as a beach cover up and for running. Sea Mist (when will this color be retired?) Run Times. Regal Plum Yogi Racerback. This is nice. I love the two Yogi Racerbacks I have. Canada got this tank in Sprinkler. 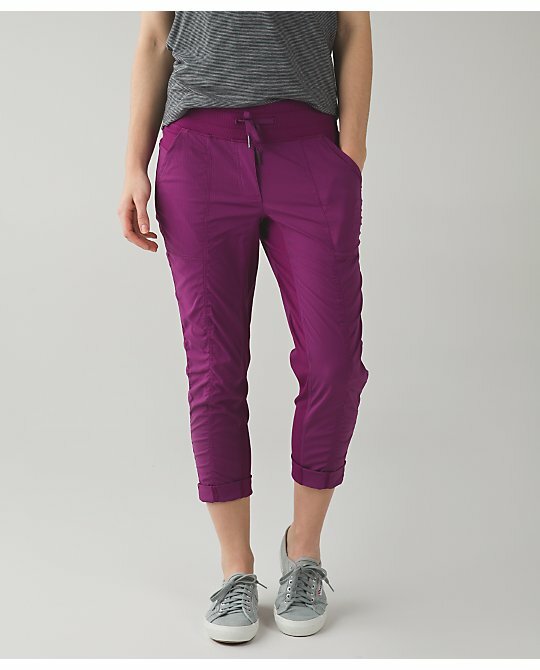 Regal Plum Street to Studio Pant and Studio Pant IIIs. Posey High Times. I kind of like these but want them in a crop. Kara Bloom Multi WUCS (CAN). I think I want these. New color in the Splash and Dash cap. I like this cap a lot but I'm just not ready to shell out $38 regularly for caps. $32 is my ceiling. I have something like 25 caps now so I can wait for it to hit WMTM. Comfy as Sweatpant (CAN). These are cute and look comfy. Pink Paradise Swiftly Tank. I ordered this. I'll compare it to Pow Pinkwhen I get it. Did you get anything today? FWIW, I was checking my spreadsheet and for all I ordered last month I only kept four items - the B/W 4 Color Space Dye Yogi Racerback, Lakeside Blue Salute the Sun Tank, Dandy Digie Strap It Like It's Hot Bra, and Boom Juice Cool Racerback. Ugh, the Essential purse is still not here. :( has anyone seen it in a US store? Interested in the Define pullover. Anyone try this on in store? Is sizing the same as the regular Define jacket? Are the WUC Hi-Rise prints in Mosaic and Alarming Cyber Boom Juice denim luon? What site do you use to have items shipped to you from other countries? Was looking for the silver fox high times today at my store based on australia upload. Nothing here or in US but I did buy the red high times crop. Also a second make a move tank. @ anon 4:07 pm- I know! I've been looking for it. @Hailey - I have a friend who lives in Canada forward items to me. My God YES to retiring Sea Mist. I think we have all had the opportunity to own toothpaste colored Lulu for many years now. Bye. They also need to relax on the Regal Plum. They are really starting to wear that one out. @ anon 5:06 pm - agree about Regal Plum, too. @Heather - I've never put on a define jacket, but I'm usually an 8 in tops and jackets. The 8 was too roomy in the shoulders. The 6 felt amazing. The zipper looks so long when you look at it, but when its on it hits very nicely and the pullover is very flattering. @Hailey there is a site on Facebook called Lululemon Angles that you can join and people from Australia, US or Canada depending where you want the item from will get it and ship it to you at your expense! I found it to fit the same as the define - for me it means a size up. It's a nice fit, I prefer pullovers to zip ups, plus the extra long zipper makes on/off easy without messing hair too much! @Anon 5:08 - thank you! I love Sea Mist! That said I'm young and poor, so I don't own any in that shade yet - I just fawn over it and make bets with how long I could go before staining it with something. The Tidal Flow One Piece and the Salty Swim Top (in a different colour) are the only swim pieces I like, and I'll probably shop at Athleta where the prices are lower and the return policy is more consistent. Nothing for me tonight but I am eyeing that Kara Blossom Multi print, (would prefer high times but might go for the crops) and the Jet Crop slims in Cyber black deep coal. The model in the pix is wearing a pair where the strips actually line up. Will have to check them out in store but I bought a luxtreme pair last year and am really happy with them. 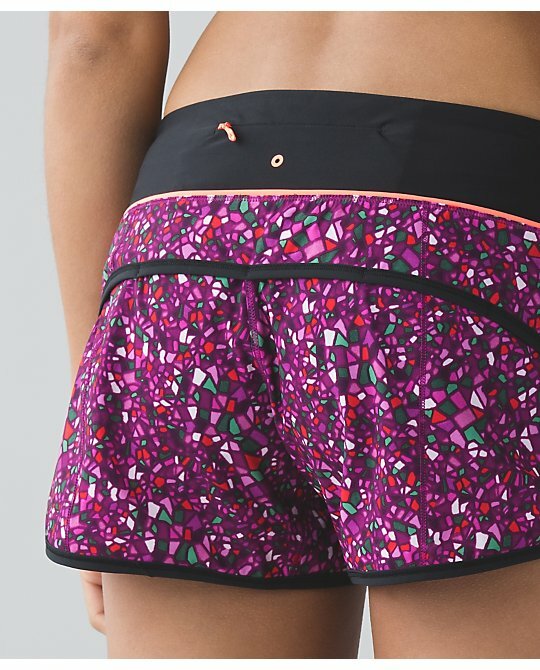 I am tempted by the Kara Bloom Multi WUP's but I don't own a pair of these yet and the reviews are not very good. Those who own them- what do people think of them? 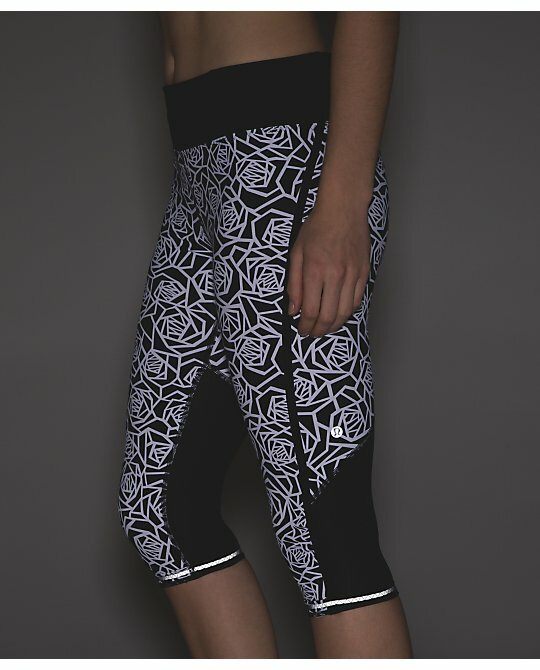 OT has anyone tried the warmup leggings from OV? I hope Kara bloom comes in a pace rival crop! I want that! I'm wondering if I should get the what the sport in vintage pink or boom juice. Vintage pink looks a tad bit sheer. @ Anon 5:25 - Thanks! That's disappointing to hear. I'm 5'4" so it probably would be long on me too. Umm.... Are we ignoring the elephant in the room? The running onsie??? Anon 5:25, thx for your feedback about define pullover. Sorry it did not work for you. I am tall so hearing it was long sounds like it might work for me. I ordered my TTS. I'm potentially interested in the irregular space bone deep coal black high times. I want to see them in person and see what material they areally made of. Plus the rent aren't enough close up pictures. Kara Blossom is OK. Kinda looks like a black ballpoint pen was in the batch of laundry with Blooming Pixie and stained the poor beauty that leaves a void in my heart. To me it is not a replacement. I will be mad at Lulu for quite a while about the lack of white BP bottoms and such. So I like the Define pullover but I need to decide if I "like it for full price like it or wait for WMTM like it." I've tried OV leggings and have to say, the fabric is awful. It is rough and, on me anyway, looked completely terrible. The seams cut in in unflattering ways, the fabric bunched up behind my knees in the M (I am a 6-8 in Lulu) and was super tight in the S. The seams cut in and made my legs look like they had rolls. Anyway - I passed. Someone gave me a pair of their kneecap leggings for Christmas and those are bad, too. That said, I love the tank and the hoodie I have from them. Excellent, soft fabric, and clean design. Hope that helps! About the white paddlesuit, the model wears a bikini top, and no bottoms, is that right? And if you unzip the back, it won't slide down? Or do you wear bikini bottoms under it? Sarah: you are absolutely right! I have several rash guards - few cropped ones - only as a vanity thing, definitely not practical. Yes, any light colored swimsuit looks nasty no matter what when sand or mud gets close to it. If you wear a bikini bottom under the paddle suit it's going to show double bottom bikini line unless you wear a really tiny thong. The paddlesuit doesn't slide, when wet it clings to the wet skin.. Thanks! I appreciate the feedback. I'm a 6-8 in Lulu too so would probably have the same issues (the OV models are microscopic). The tights did look like they had a lot of seams. I will check out the tanks tho. 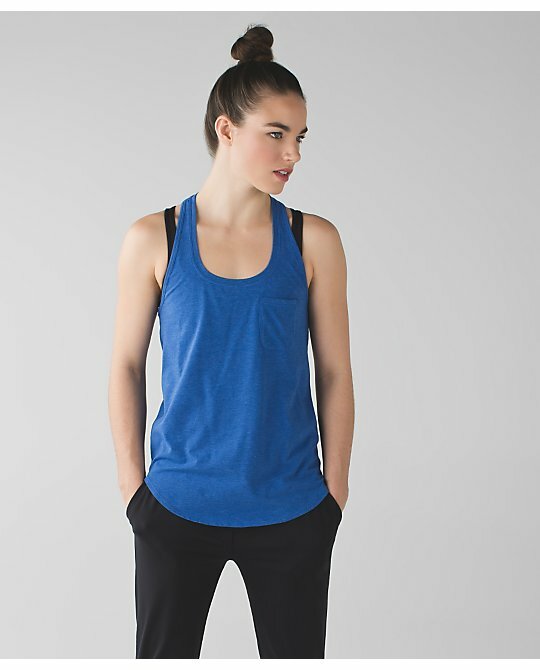 It's really hard to find simple functional loose tanks with great fabric. The tanks Lulu has been putting out lately with the exception of the yogi (which despite the super soft fabric is still a bit too clingy for me) are way too busy for me. Completely agree. Lulu saved me a lot of money by discontinuing the DSP II. Always picked up another pair in color I liked. That won't be happening with this super plain update. I am happy to say nothing in this upload for me. Their swimwear still falls short and also agree about rash guard pricing. I have a similar long sleeve one with ties from last year and think it was 88. 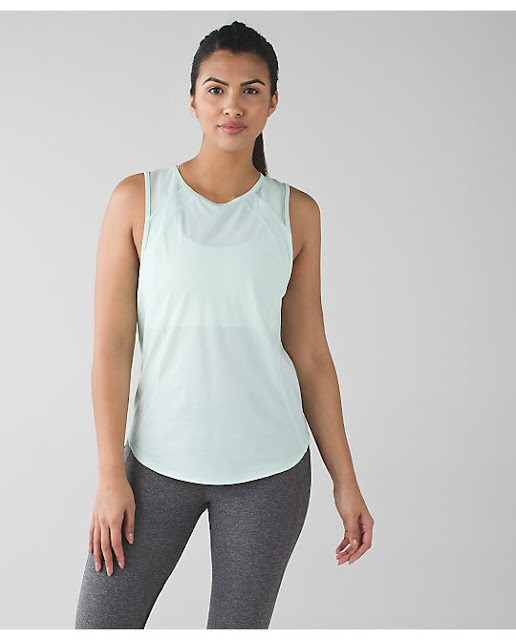 I also have that sleeveless one from Athleta that you mentioned and like it a lot. I will try more of those. Yes - old studio II's is about the only thing I'm buying. That Paradise Camo print gives me a headache! Weird name for it too - Stained Glass Mosaic Paradise or some similar name would have been a better suited to the print as it looks like stained glass art vs camo. Like the colors in it but something about it just hurts my head! Lol! Only thing i'm interested in is the stride to tide. I too have a waterbound singlet ($19 online warehouse sale buy) and LOVE it for both running in and over a swimsuit poolside or at the beach. Check your local TJMaxx/Marshalls (or Winners if in Canada). I've found some great UA tanks that I love and actually wear more than my Lulu ones! Also 90 Degree brand recently put out a 105 singlet dupe. For $9.99 I bought every color my store had. They are great! 90 Degree also makes a Cool Racerback dupe with the same fabric content (have to look though they still do a lot of polyester. I buy the Nylon/Lycra ones which feel and are the same as the CRB). My Kyodan yoga crops are holding up better than my recent Lulu WUC. I still buy quality but 90 Degree, Kyodan and Mondetta/MPG have some quality pieces (not all so I pick and choose). Might want to check them out. The surf short 2, as far as I can tell, is the exact same as the surf short "1" from last year. It's just an excuse to raise the price by $10, as has been the trend. This is getting old. I was a die-hard Lulu fan until they started pulling these pricing tricks last year, and have been branching out since then. I've been really happy with the brands I've been frequenting (Alo, Michi, Koral). The designs are edgy and the quality is good. 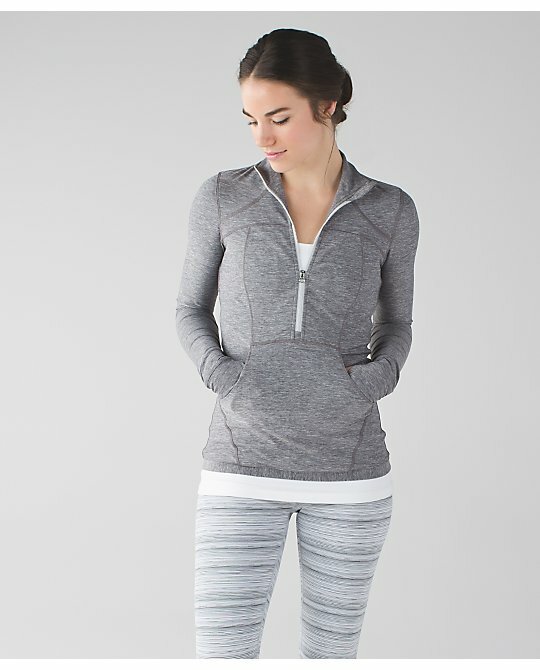 For basics, I've been buying Athleta--great sale prices and easy peasy returns. I smell a pricier Cool Racerback "2" and Speed Short "2" in the future--that will be it for me. @ anon 9:32 am - I didn't even notice the $10 increase on the surf short. I got a pair last year and they still have the tags on. I prefer my Athleta swim shorts more. The Canadian dollar is weak so I guess I can understand jacking up the price but I'm resentful because the US dollar is stronger. The disconnect is large and doesn't seem to be going away so they should split the pricing. Higher prices means my buy threshold has gone from, 'eh, I'll try it' to 'wow, I can't live without this'. 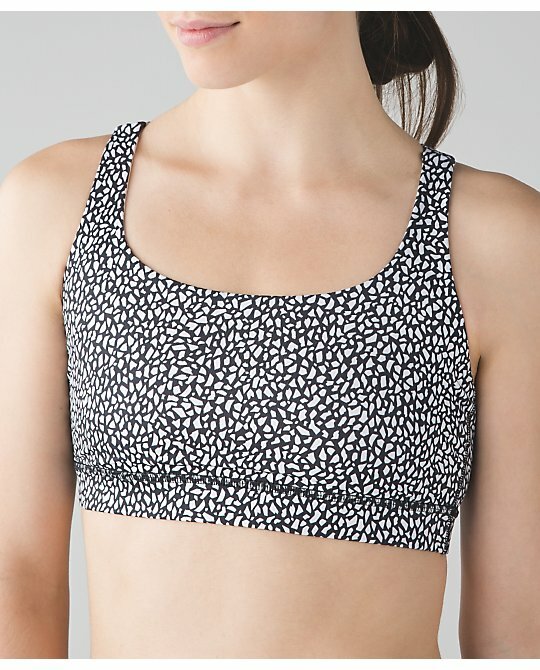 There are only a handful of items on that list now: Mesh What the Sport SS tops, Mesh With Me LS tops, unique/pretty color CRBS I don't already own, Strap It Like It's Hot Bras, and must-have print Pace Rival crops. I like the Yogi Racerback a lot but I only want that in 4 color space dye or prints. I like the 5 Mile LS a lot but only in the solid colored nylon version. They ruined the DSPs for me but I already have four pairs of those and four pairs of the Dance Studio crops so I really didn't need any more of those. I wouldn't mind another Runbeam Hoodie but I have a few UPS tops now so can live without. I am not sure what is going on with LLL but the USA is pretty redundant and boring -- yawn! If you look at the WMTM, they uploaded bathing suit items -- they came out of nowhere. Now, they have new bathing suit items. I do not get it. What happened to the Turn Jacket, primarily in the color Alberta and the Yogini 5 Year in the color Alberta??? The Canada side got these items around four weeks ago. Also, the Cover Me Tank on the Canada side is absolutely adorable! From my perspective, this week's download is pretty drab and boring and it looks as through they are desperate to sell anything without checking their inventory to see what bombed! I believe some of this week's items will be seen on WMTM. I bought a pink paradise/tiger space dye black fringe fighter. I don't love the elastic back but I wear these for every workout. I bought the tranquil tank in black in my size down and am on the fence. I don't think its perfect but it will look cute casually with a cute bra. Honestly, All I really want is more strap it like its hot bras/tanks. I was only able to snag 2 tanks and they are all I want to wear for hot yoga. The UK got a ton of colors and we get nothing! So, just wanted to check out the white paddle suit and saw that it is "out of stock" in both colors on both the US and Canadian sites. I can't imagine that it actually sold out, but more like they pulled it for some reason (defect, flaw, etc.). Any info on that? What don't you like about the heathered 5 mile LS? I just got the boom juice and navy but i'm undecided...I love the 5 mile in my other colors. Yes, the price increases are definitely having an effect on what and how much I've been buying. No, I wouldn't be buying the new DSP IIIs even if the price was the same as it was with the IIs because this new III version just doesn't work for me at all in any way. All these price increases all add up and do make a big difference. I haven't heard too many mention the latest $10 increase in price for the Define Jackets - pretty ticked off about this one actually. Agree with someone earlier who mentioned it won't be long before the CRBs are added to the price hike list. The thing that ticks me off the most about these price increases is that the quality is for sure going down yet the prices continue to climb - I have no words! The reviews for the Defines have been nothing but problems with pilling yet the price goes up yet again! Is there a specific time on Thursday when WMTM gets uploaded? Anyone notice that on the app it shows several colors of the H2O speeds? I'm curious to try so I bought the paradise camo but now I'm intrigued by these other possible colors. They color options are on the app but there are no sizes and the color/print doesn't show. Is that a glitch or did they seriously sell out????? @ Andrea, yes I think we are. It's one of those, if we ignore it then maybe it will disappear!!! I have the cropped rash guard from last year and LOVE it! I wear it when my kids want to swim and it's still a bit chilly for my liking-they are still the age I have to get in with them and when I'm waking around the water the my waist down in the water isn't cold, but my upper body gets cold. It also is nice if I feel like I'm getting a bit too much sun for the same reason - upper body covered but rest of me is under water and not getting exposed any way. Plus I always have at least one person ask me where I got it and tons of compliments any time I wear it. You should check it out! @ anon 4:06 pm - I think it's sometime between 8-10 am PST. I am not liking the Miss Mosaic print at all, it hurts my eyes to look at it and it reminds of that horrible spotty grain print from last year. I am glad to see zinfandel again but not in another backless tank. The Kayak Blue Speeds are gorgeous and would buy them in a Run Times, not that I need another pair! What gives with everything Regal Plum??? I love that colour in Pima Cotton but it is getting overdone IMO. I don't get why DSP and Street To Studios are out now in Regal Plum when the last new colour release was Red Grape and months before that was Cranberry. In Flux Crops had Plum and Regal Plum and the Regal Plum are now in WMTM. These colours along with all the Ultra Violet and Tender Violet in past months just seems over saturation of similar colours. Do the H2O speed shorts have a liner??? It's not listed yes or no. @OHBabbs - I just saw a photo posted in a facebook group and they are lined with a swim bottom. I didn't order from lulu as nothing really caught my eye. 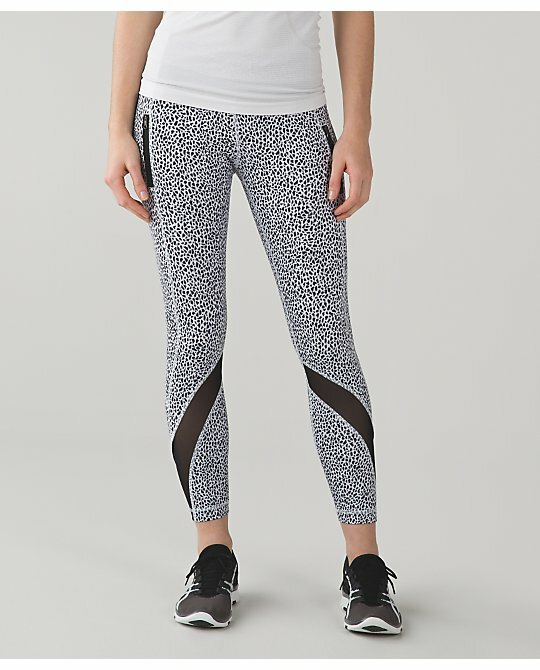 I did order a pair of runnign tights ( the incline) from Sweaty Betty at 20% off and a tank for 26$. they are having a big sale. 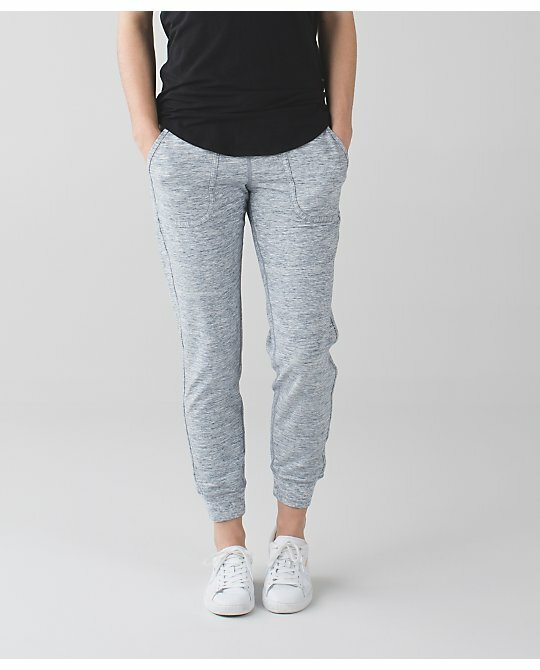 Has anyone bought the comfy as sweat pant? ?